Don't celebrate yet - hold that promotion to the next position! Review your expansion plan first. Know that many situations of high sales may not be sustainable. When sales are mostly from new customers with only a handful of repeat customers – you may have lost many customers, accounts, and distributors. Retention is the problem. This is when time of sales is beyond the norm. For example, in the restaurant business, the time of customer arrivals are past normal meal times, this is an indicator that sales may only be happening because restaurants in the vicinity are full and your outlet is just the last choice. Watch out for using this sales as basis for expansion. Artificial sales includes Inventory loading beyond the usual sell out capability, which may lead to lower sales on subsequent months, higher costs to help the client dispose of excess inventory, or even special concessions granted to clients due to favors done to accept more inventory. Collection issues can happen in the future. This involves giving so many freebies just to close a sale. When practiced continuously, this de facto selling policy focuses less on communicating product value. This involves an overkill situation where products have been sold at too small profit or worse, none or even negative profit, training future customers to just wait for further price cuts or promotions. This occurs when one needs more salesmen and support groups to push products, leading to low productivity per seller just to push for higher sales figures. Effort could have been reallocated elsewhere instead of jointly if only your salesmen engaged in more efficient practices. Worse than inventory loading is fake sales, which happens when an invoice for sales is done without real buyers, leading to more fictitious records such as fake warehouse withdrawals, fake delivery acknowledgements and fake warranty cards. This occurs when a product does not reach the intended segment, such as when a family car is repositioned as a commercial vehicle. Brand image may be negatively affected and lead to worse selling conditions in the future, increasing the chances of the scenarios in this list to occur. When sellers do not accept no as an answer, customers feel pressured to agree in order to make the seller leave their premises. This is related to having few repeat customers due to bad purchasing experiences. When a higher price item is sold on credit to just anyone without proper investigation just to meet sales targets, problems in collecting receivables will occur. This can also happen when supporting documents to support credit applications are forged, or when sales commissions are paid despite an incomplete collection. Sales are not final unless collected. Despite high sales, some transactions are still unbilled to 'play' the sales target. Reconcile sales and cash for accuracy. High sales with near expiration date will result in a high number of bad orders. Sometimes, this is 'gamed' deliberately just to reach targets for a certain time frame. Sales may have gone up only because there was a price increase. Check the other twin component of price, which is volume. Sales may have gone up but market shares may have gone down. This means that some competitors are growing even faster. Instead of waiting for bonuses, a performance warning should be issued instead. This shows that not all categories or geographical areas have equal contributions. Some areas or channels may have sold much more than the others. Imagine the intent of a school practicum, for instance. Students are supposed to gain real-world work experience, but if schools do not look at the process carefully, students may just deliver fake employment papers gained from corrupt employees and businesses. This is a rampant use of the halo effect. In reality, it shows a lack of data to know if certain campaigns are producing the right target results. This can manifest in dishonesty by extending cutoff dates just to hit desired sales target or incentive, leading everyone in the organization not to take deadlines and leaders seriously. Marketers and businessmen must analyze their figures deeply to understand not just sales and its numbers, but where sales are actually coming from. Josiah Go is chairman of Mansmith and Fielders Inc., the leader in marketing, sales and innovation training. 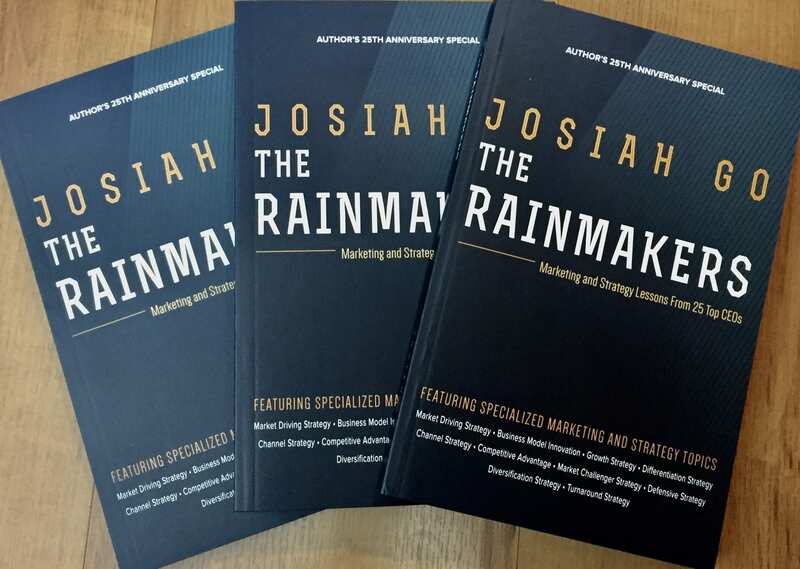 Follow Josiah Go at twitter @josiahgo to benefit from his daily marketing tips.